Get My Parking, a Delhi-based 18-months old startup providing cloud-based mobile parking technology announced today its recently raised pre-series A funding of $1.1 million (Rs.7.35 crores) to accelerate their product innovation and business impact. The participating investors include Indian Angel Network (IAN), BEENEXT, The Chennai Angels (TCA), and Mr. Sunil Munjal (Hero group). In January 2016, the start-up had raised $0.376million (Rs.2.5 crores) from The Chennai Angels (TCA). Veritas Technologies and Microsoft announced a multi-year global, strategic partnership to help organizations use Microsoft Azure to optimize for hybrid cloud environments and to host Veritas’ Enterprise Vault cloud management and governance service on Azure. Verizon announced the global launch of Exponent Technologies, a new business and technology venture offering a unique portfolio of software and internet platforms designed to enable carriers around the world to quickly deploy and launch next-generation solutions. Centum Foundation, the CSR arm of Centum Learning, an ISO 9001:2015-certified skilling MNC, today announced the launch of Centum GRO to train deaf youth in India. The initiative is in collaboration with US-based Global Reach Out (GRO) a non-profit organization run by hearing-impaired individuals, which has already imparted leadership skills and entrepreneurial training to over 1,000 deaf youth across India, Kenya, Guatemala, Honduras, and Thailand. Truecaller, one of the leading mobile communication applications in the world, joined the elite club of advertising platforms by delivering over 133 million impressions in a day to become one of the largest in-app publishers in India. HP Inc. made the debut of its gaming portfolio in India - OMEN by HP, featuring an array of products built for gamers combining the latest in PC innovation, delivering power and performance to dominate competition. The portfolio will be available starting 15th March 2017 on www.hpshopping.in, select HP World stores, leading ecommerce portals and LFRs. Visa, the leading global payments network, today signed a Memorandum of Understanding (MOU) with the State Government of Andhra Pradesh to help transform Vishakhapatnam into India’s first “less–cash” city. Mahindra Comviva announced the launch of payPLUS Aadhaar Pay, a merchant payment acceptance solution that leverages India Stack for merchant payments. payPLUS Aadhaar Pay simplifies digital payments by using Aadhaar number and linked biometric credentials to facilitate merchant on-boarding and payments. Given the government’s focus on digital payments, payPLUS Aadhaar Pay provides a merchant acceptance solution designed for rural India taking into account the specific challenges faced by consumers and merchants in such demographic segments. Lenovo Mobile Business Group announced an upgrade of its best-selling smartphone, Lenovo Vibe K5 Note in 4GB + 64GB variant. The phone will go on sale starting 11:59pm, 21st February onwards, exclusively on Flipkart and will be priced at INR 13,499. 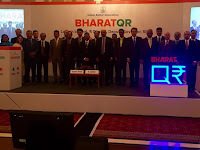 R. Gandhi, Deputy Governor, Reserve Bank of India today launched BharatQR, a world first interoperable and low cost acceptance solution, developed by National Payments Corporation of India (NPCI), Mastercard, and Visa. Siemens Limited and Siemens Rail Automation Ltd. S.A.U Spain have jointly won an order worth Rs. 287 crore, out of which Siemens Limited’s share is Rs. 146 crore (all inclusive). Siemens is to supply state-of-the-art signaling technology for the first two metro lines of the Nagpur Metro i.e. the North-South and the East-West Corridors. The project comprises the deployment and installation of the Siemens communications-based train control (CBTC) solution Trainguard MT for 38.2 kilometers of double track with 36 stations and two depots, as well as onboard equipment for 23 three-cars trains. FreeCharge, in association with Fever 104 FM, hosted India’s first ever cashless Swayamvar as part of ‘Band Bajaa Fever’ Season 3. This is an unique initiative that attempts to make marriages unforgettable, extra-special and cashless with an unparalleled entertainment quotient. Zendesk announced the launch of a new office in Metro Manila providing capacity for over 200 people, creating a ‘Customer Experience Hub’ for the APAC region. The APAC region is a key focus for Zendesk with paid customer accounts growing by over 35% year-over-year as of the end of 2016. The number of employees grew by over 50% during the same period. IBM Security announced the availability of Watson for Cyber Security, the industry’s first augmented intelligence technology designed to power cognitive security operations centers (SOCs). Over the past year, Watson has been trained on the language of cybersecurity, ingesting over 1 million security documents. Watson can now help security analysts parse thousands of natural language research reports that have never before been accessible to modern security tools. Cyient Limited announced that its Founder and Executive Chairman, Mr. BVR Mohan Reddy, has received the prestigious Lifetime Achievement Award 2017 at the 4th edition of the Aerospace & Defense Award 2017. Cyient was also announced as the winner in the ‘Excellence in Aerospace Exports’ category at the awards ceremony. The ceremony was held on February 13, at Le Meridian, Bangalore, on the eve of Aero India 2017 in the presence of the Guest of Honor, Dr. G Satheesh Reddy, Scientific Advisor to Raksha Mantri & Director, Research Centre Imarat (RCI). All of us love to share our experiences about places we’ve visited and things to do and see with our friends or family. Starting today, Google Maps’ new feature “Lists” will help you mark out the places you love and the places you want to recommend to friends. You can now create lists of places, share your lists with others, and follow the lists of your friends and family when shared with you – without ever leaving Google Maps on Android or iOS. Mahindra Comviva announced that it has won three awards at the prestigious Aegis Graham Bell Awards at a glittering award ceremony held recently in New Delhi. The award ceremony was attended by Hon'ble Minister Dr. Jitendra Singh, Minister of State in the Prime Minister’s Office and Dr. Sam Pitroda, Father of Indian Telecom Revolution. Renowned Designer Vaishali S launches new collection ‘Chaatak’ in association with Coolpad at New York Fashion Week. The overwhelming response and critical appreciation at NYFW SS’17 marks the second time Vaishali S has showcased at NYFW, unveiling her much anticipated AW’17 collection titled ‘Chaatak’. BMC Software India recently won the ‘Best Customer Centric Culture’ Award, at the 3rd Customer Engagement Summit, instated by leading marketing organization Kamikaze B2B Media. The award was received by Tarun Sharma, CEO of BMC Software India Pvt. Ltd. Tally Solutions announced the launch of an online forum dedicated to Chartered accountants in the country. The portal will host threads of discussion on the fundamentals of GST, its implications on different stakeholders and opinions shared by eminent CAs in the form of articles and interviews. Tax practitioners and business people will be able to view and follow these and prepare themselves for the transition to GST. Twitter stands for freedom of expression and people being able to see all sides of any topic. The global live communication platform announced three changes today - stopping the creation of new abusive accounts, bringing forward safer search results, and collapsing potentially abusive or low-quality Tweets. Ramco Systems, a global enterprise software company focusing on enterprise cloud platform, products and services, announced the results for the third quarter of 2016-17. TeamIndus Foundation, which seeks to take TeamIndus' inspirational message to every Indian, is pleased to announce the launch of Moonshot Wheels. It is important that your realise as to who can use the Live Streaming on Youtube. If you have more than 10k followers on YouTube, you are eligible for it. Others will have to wait a while. For those with adequate number of users on YouTube, you can simply use the Live Streaming button and connect with your followers in no time. Up on that YouTube is giving you a fair chance to make money on your streams. Isn't that great? Open source has become an integral piece of every developer’s arsenal. The power of the community, the wisdom of many, and the ability to hook into various systems and solutions make open source incredibly powerful. 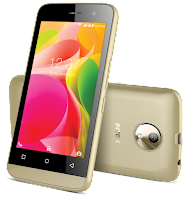 Intex Technologies announced the launch of a new smartphone called Aqua Supreme+ as its first multilingual smartphone in association with Indus OS. Built with big battery and great camera, Intex Aqua Supreme+ will be an ideal device for creating memories. The smartphone also comes equipped with value added services and features that offer users a wide range of apps to explore while using a smartphone. Priced at INR 9,490/-, all new Aqua Supreme+ is packed with outstanding 13MP camera and a powerful 3000 mAh battery. L&T Technology Services and Rockwell Automation celebrated the completion of ten years of a successful business relationship. Over the decade, the relationship between the two companies has evolved into a value based partnership for Product Engineering, Application Engineering services and now embarking on building IoT solutions for Smart Manufacturing. Mastercard and Confederation of All India Traders (CAIT) announced a 90-day ‘Digital Apnao Vyapar Badhao’ campaign to accelerate the adoption of digital payments amongst traders and enabling them to grow their businesses. Styletag.com will exclusively launch renowned celebrity fashion designer AnjanaMisra’s spring summer collection on its platform. With this launch, the online platform will be an exclusive online partner for the designer’s collection.Styletag is known to offer some lux prêtfashion and styles at affordable prices. Hybrid cloud is set to be one of the biggest, most valuable technology opportunities for enterprises in 2017 and looking ahead over the next few years. To take advantage of this opportunity enterprises must apply the same principles they utilise in maintaining multiple data centres to data storage in the cloud – whereby a single cloud will no longer suffice. One of the most widespread killers of our times, cancer was responsible for a whopping 8.2 million deaths worldwide in 2012. According to World Health Organization, the annual cancer cases are expected to rise from 14 million in 2012 to 22 million within the next 2 decades, accounting for a massive 70 per cent increase. A number of factors are believed to be responsible for the rising incidence of most types of cancers. VMware announced new releases of the VMware NSX network virtualization platform to meet the diverse and evolving needs of both IT and developers. With the release of VMware NSX for vSphere 6.3 and VMware NSX-T 1.1, VMware is advancing support for the most critical IT use cases—automation, security and application continuity—while offering development organizations an agile software-defined infrastructure to build-out cloud-native application environments. 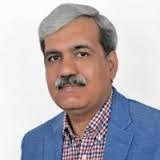 State elections have emerged as the biggest trend recently where all parties will taste their strength before the 2019 elections. In preparation for India's state elections, Facebook has introduced two tools to help encourage civic participation. NXP Semiconductors and Hyundai Mobis have announced the successful completion of field trials of MOBIS DRM receivers and NXP chips designed in India. The chips and DRM receivers are now deployed in DRM-fitted car infotainment receivers in a newly launched vehicle in India by a leading carmaker. GBMiners – the biggest bitcoin mining pool outside of China has recently and globally the 9th ranked mining pool has crossed the 100 petahash mining capacity and clocked 108 petahash. The pool which has over 8000 miners has till date has mined over 5400 coins. Twitter is the live connection to news and culture and this reflected during the recently concluded #Budget2017 when people flocked to the platform for live breaking news and to know what’s happening. Conversations on Twitter on the Union Budget 2017 echoed the nation’s mood and its temperament towards an event of national significance. Budget 2017 is notable first for the fact that the government has maintained fiscal discipline and resisting the urge to come up with a populist budget given the upcoming elections in a number of states. So, this is not a ‘political’ budget, which was a big fear. Here are the reactions of the industry which has welcomed the budget and called it market-friendly.